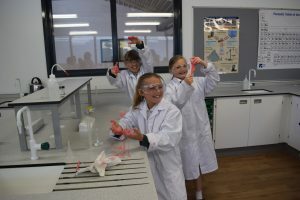 Local Year 5 pupils launched rockets, chemically engineered goo and coded computer games at a recent STEM Day hosted by UTC Swindon. 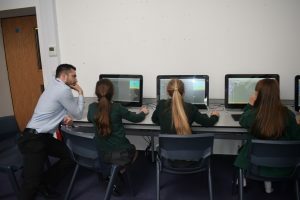 UTC Swindon were delighted to welcome pupils and teachers from Lawn Primary School and Robert Le Kyng Primary School on Friday 14 July as they ran a series of activities to spark their interest in STEM subjects (science, technology, engineering and mathematics). Following an initial briefing, students were divided into groups to engage in various activities run by UTC Swindon staff and students. These included building and launching rockets, designing helicopters, making goo, designing a computer game and building land yachts using K’Nex. Teresa Townsend, Year 5 Teacher at Robert Le Kyng Primary School, said: “We would like to say a huge thank you to everyone at the UTC for such an amazing, fun day. It was great to have some Y10s helping us and letting us know what it is like to be at the UTC and the staff really gave us a great experience. There was a good range of fun, but challenging activities that caught the children’s imagination and gave them opportunities to try out equipment that is not available in primary school. 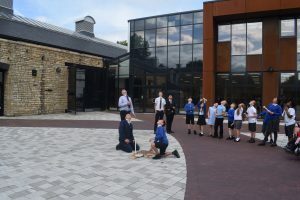 The children especially liked the amount of space and the way UTC is set out with the old and new and they felt very comfortable there.